The parents of a teenager whose body was found outside a Belfast hospital have said she was a "vibrant soul with a zest for life". 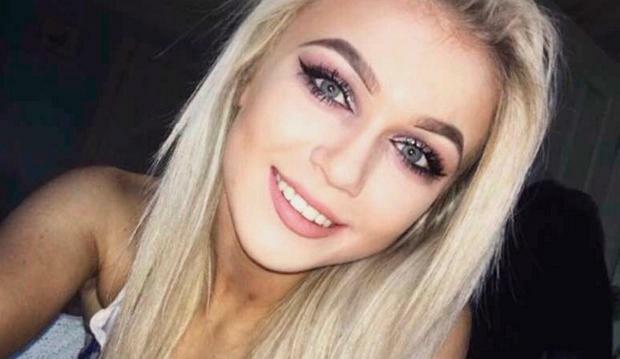 The PSNI believe Tara Wright (17), from Donaghcloney, Co Down, was involved in a road crash 25 minutes before her body was found outside Belfast City Hospital at around 3am on Sunday. Last night, her parents issued a statement to the media in which they said they were "devastated" at the death of their "beautiful daughter". "Tara was a kind, funny, charismatic, bright young girl with her whole life ahead of her and we can't believe that we now have to say goodbye to her. "Tara will be missed immeasurably not only by us, but her entire family, especially her brothers and sister Charles, Alistair and Anna, who will never forget the love they had for her and the love she had for them," they said. The PSNI had initially linked Tara's unexplained death to a single-vehicle car crash involving a silver Mercedes in Castlereagh. Yesterday, a senior officer said they believed the 17-year-old had been injured in the crash. The vehicle was found on its roof near the roundabout at Ballygowan Road close to the Manse Road junction. Around 25 minutes later, Tara was found in the grounds of Belfast City Hospital by Ambulance Service personnel who frantically attempted to resuscitate her. Initial reports suggested the teenager had been found lying next to a grey MG car. However, CCTV footage subsequently examined by police has since established that Tara was inside the vehicle when ambulance staff arrived on the scene. Inspector Nigel Henry said yesterday officers are following a line of enquiry that Tara had been taken to the hospital in the MG. He revealed that four men aged 20, 21, 28 and 30 - who had been arrested on Sunday but since been released on bail - are assisting officers on establishing the circumstances leading up to Tara's death. Offering his sympathies to Tara's family, the senior officer appealed for anyone who witnessed either vehicle to come forward. "Our investigation is at an early stage, however, we do believe that Tara was injured during the one-vehicle road traffic collision on the Ballygowan Road," he said. "We are appealing to anyone who witnessed either the silver Mercedes or grey MG to contact us to assist us with our enquiries." A man found injured after the crash who was rushed to the Royal Victoria Hospital in Belfast was last night in a critical condition, according to a hospital spokesman.